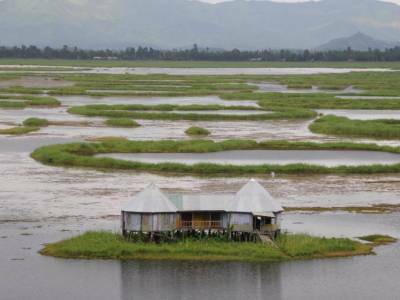 Loktak Lake, situated in the north-eastern Indian state of Manipur near Moirang is the largest freshwater lake in the region. It is famous as it has got phumids floating over it. 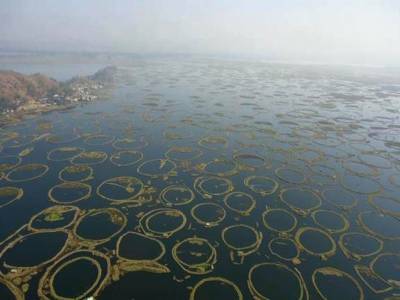 This lake also has got a national park floating over it known as Keibul Lamjao National Park making it the only national park in the entire world that is in a floating state. Although this national park was declared a sanctuary in the year 1966, however; later it has been accorded as National Park in 1977. It is on the southernmost shore of the lake that the Keibul Lamjao National Park floats on. 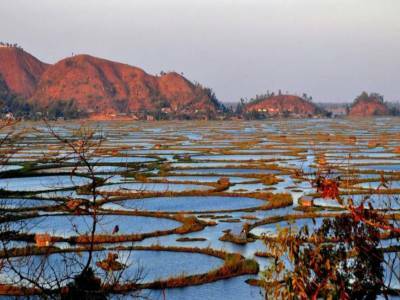 The Loktak Lake is a very ancient lake and it plays quite a significant role as far as the economy of the state of Manipur is concerned. Encompassing an area of 300 sq. Km during the dry season and even 500 sq. Km during the rainy season, this lake acts as the root of livelihood for many fishermen who live in the adjoining areas and on the nearby phumids. Moreover, it also finds use for the purpose of serving drinking water requirement of the surrounding people, irrigation as well as hydropower generation. The lake is home to plenty of birds with the most commonly seen being northern hill myna, black kite, lesser skylark, Burmese pied myna and many more. However, the present condition of this lake is far from good. It is now an endangered lake with the flora & fauna threatened and the phumids getting thinner day by day. And what all these do is also puts the existence of the Sangai deer, the state animal of Manipur in havoc jeopardy. 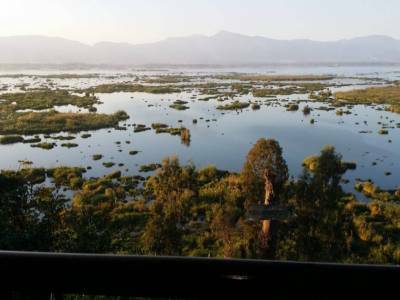 Loktak Lake really is a majestic lake but it’s high time that efforts are carried out substantially to protect and preserve this fantastic object of beautification. 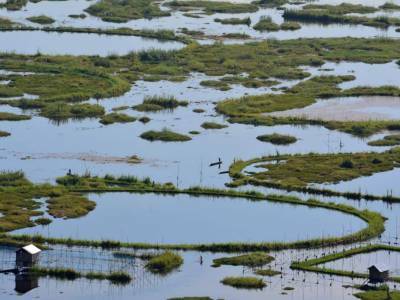 Get quick answers from travelers who visit to Loktak Lake.